The Uttar Pradesh Police on 16 October busted a gang of ultras by arresting 10 of them and averted a major Naxal attack in the national capital and its neighbourhood. The left-wing extremists were adept at making bombs and were planning some incidents in the Delhi-NCR region, IG (UP Special Task Force) Aseem Arun said. In the night-long raids that went on till the wee hours, nine Naxals were arrested from Noida, on the outskirts of Delhi. Of the nine, six were picked up last night and three this morning. Another was arrested from Chandauli, adjoining Bihar, he said. Self-styled area commander Pradeep Singh Kharwar, from Bariatu village in Jharkhand's Latehar district, was hiding in Noida since February 2012 and carried a reward of Rs 5 lakh, he said. Another prized catch was Ranjit Paswan, a former self- styled area commander of erstwhile People's War Group, who was active in Naxal-hit Sasaram district of Bihar. He was arrested from Chandauli, adjoining Bihar, he said. Others arrested include Pawan Jharkhand of Madhubani in Bihar, Sachin Kumar of Dankaur in Greater Noida, Krishna Kumar Ram from Sasaram in Bihar, and Suraj, a resident of Bulandshahr in Uttar Pradesh. Suraj was the group's local contact for conducting operations in the Delhi-NCR area. The STF officer said acting on a tip off, a raid was conducted in an apartment in Sector 49 Hindon Vihar here. 550 live cartridges, an INSAS assault rifle, two other rifles and three self-loading rifle magazines were seized along with a huge quantity of explosives and detonators. He said it is suspected that the INSAS rifle was looted from an security personnel as the weapon is used by them against the ultras, he said. INSAS (Indian Small Arms System) is a family of infantry arms consisting of an assault rifle and a light machine gun. The arrested Naxals were active in eastern UP and adjoining parts of Bihar and had made Noida their base. They had rented two flats and posed as property dealers, Arun said. The IG said the crackdown on the left-wing extremists would continue and more arrests were likely. Home Minister Rajnath Singh had recently asserted the government's resolve to bring an end to Naxalism, militancy and terrorism, and said the Maoists' morale at present is at its lowest. 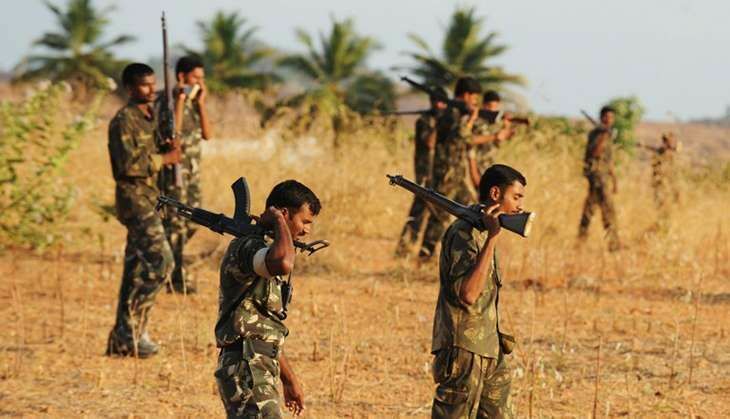 According to a senior police official involved in anti- Naxal operations, "There has been a massive and sustained operation against the Maoists which has put them on the back foot." As per MHA data, they remain confined mainly to Chhattisgarh, Jharkhand and Odisha.